Huh…Fat Tuesday…I think I take personal offense at that name. Just kidding! Although I’ve known about Mardi Gras since I was a child, it wasn’t so many years ago that I found out the translation was Fat Tuesday. I remember saying “Huh…” when I learned out what it meant. When I was leading my Weight Watchers meetings, I did everything I could to not use the word Fat in my lectures. Oh sure, I said “no-fat” and “low-fat” but I tried to never use the word Fat referring to myself or to the members. I would cringe when a member would refer to him or her self as Fat. I really hated the word. It probably stemmed from being teased as a child and culminated in high school when I was once compared to Babe The Blue Ox from the Paul Bunyan tale. Not a happy memory, but I got over it. I am over it, but I continue every day getting over it. As much as I feel in control and comfortable about my weight and my self now, those issues still lurk in the back of my mind. I hate when I hear anyone refer to themselves as fat and I would never refer to anyone that way. It’s hurtful and mean. I have a new favorite breakfast. 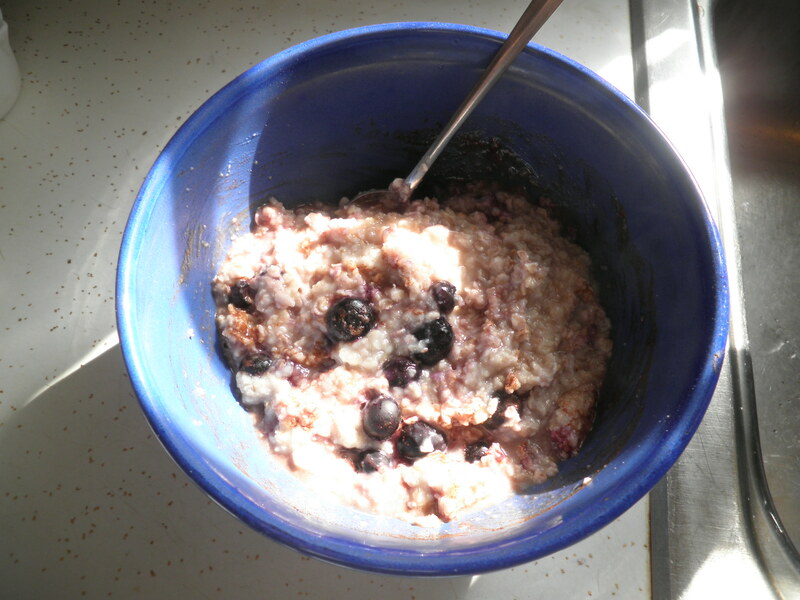 I read on someone’s blog, I can’t remember who or I would give credit, that they combined oatmeal and oatbran together. 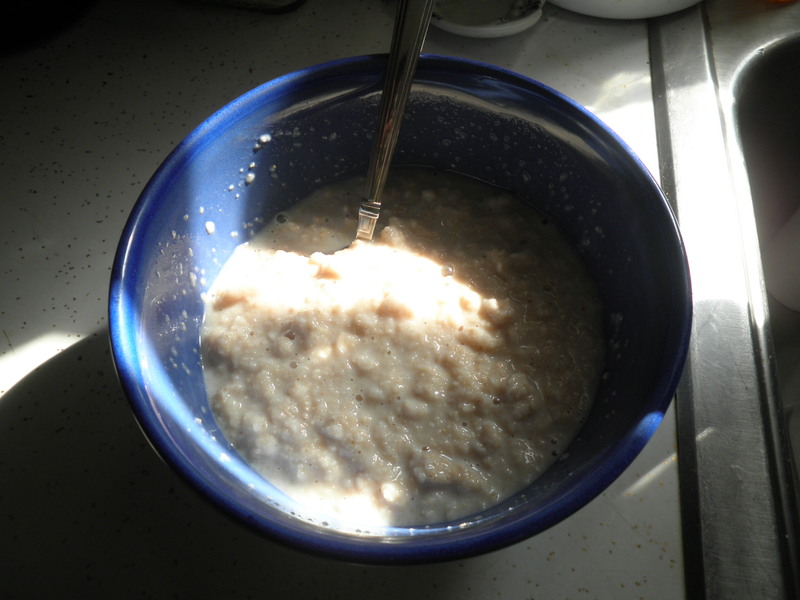 When I found oatbran, I decided I liked it plain. Just Splenda and almond milk. If you’ve been reading BCDC for a while, you know how I love cinnamon, but when I tried it in the oatbran, it wasn’t as good! The same is true with oatmeal/oatbran. I Love It, but I like it plain, no cinnamon, no blueberries…Nothing but the Splenda and almond milk. It tastes so good. It counts the same as regular oatmeal for me on WW so that makes me happy.